Twist the throttle on the open road and you are greeted by a rush of acceleration as the tacho needle blazes from 8,000 to 14,000 rpm in a blink of an eye, lighting up the orange shift lamp as the front wheel takes flight. The engine sounds heavenly on the boil, dispatching triple-digit speeds in first gear, while 200 km/h comes up in fourth, by which time you would typically find yourself out of road. I would expect top speed to be in the region of 250 km/h, but didn’t have a long enough stretch of tarmac on which to test this theory. 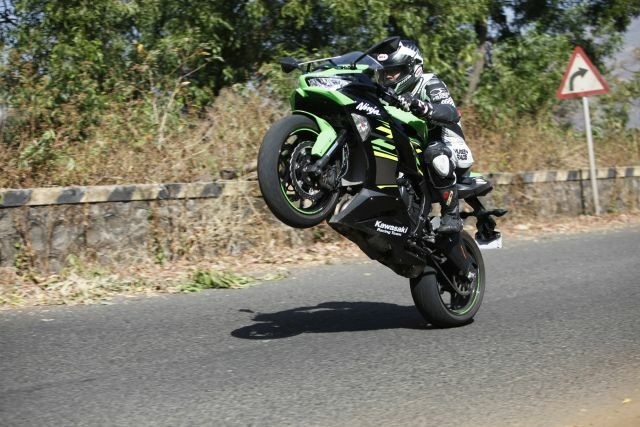 I was soon headed into the hills to attack my favourite twisty road, and the Ninja did not disappoint. 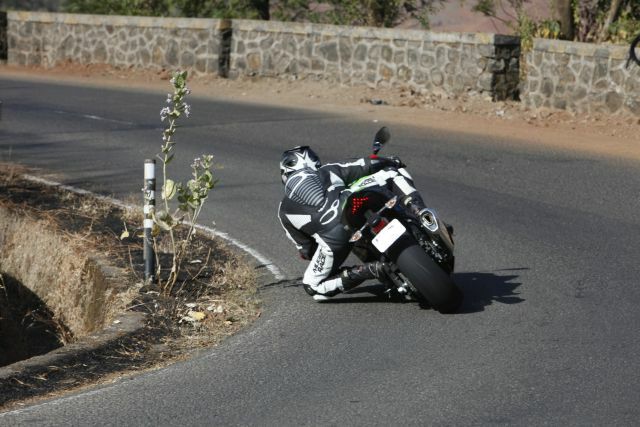 High-speed cornering is what she was built for, and I was amazed by the agility of this motorcycle as I dove from apex to apex, tucking in behind the low screen on the short straights. The Ninja changes direction extremely quickly, feels a lot smaller than it is when ridden hard, and the front end felt extremely communicative and planted as I pushed it deeper and deeper into the corners. The radially-mounted, four-pot Nissin monobloc calipers grip 310-mm discs, are actuated by a radial master cylinder, and a light, two-finger squeeze on the lever is all you need to rapidly shed speed. There were several times that I thought I had overcooked a corner, only to realise I could have braked even later, while the ABS does a good job of keeping both wheels on the ground. 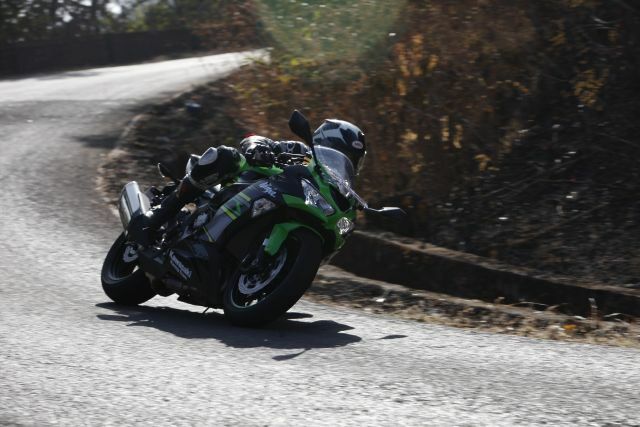 With more and more riders taking to the track to polish their skills, the Kawasaki Ninja ZX-6R is now the only track-ready middleweight sport bike you can buy in India, and it is a fantastic motorcycle for the job. The fact that it acquits itself well as a road bike, and can be set up to be super plush or super stiff depending on where you are riding it, all work in its favour. So if you have the green – Rs 10.49 lakh (ex-showroom) worth of it – and you really want a 600-cc track-shredding machine, then you need to start making some space in the garage for this Ninja.